It is true that with today’s busy lifestyles; we can’t always curry with us home-made nutritious meals. However, this does not mean that you will have to give up your healthy diet program for an unhealthy and quick bite. Luckily, on the market nowadays, there are various healthy packaged foods that you can eat without guilt. To make sure that your chosen packaged foods are healthy, you will have to use the information provided in the nutrition labels (authorized by FDA). FDA asked all packaged food companies to label nutrition information on their products, regarding calories, fats, carbohydrates and sugars as well as vitamins and added ingredients. In general, the nutrition tags on foods indicate the amount of each component as well as its equivalent percentage of your daily allowance. Specifically, the percentage “daily allowance” is the amount of your daily nutrition requirements by consuming one portion of your chosen food (according to a 2,000 calorie diet). Calorie intake is the key thing to look on packaged foods. Specifically, balancing the food calories in relation to its benefits is what comes first, whether you are trying to lose or maintain your weight. For example, a packed food that provides 500kcal and 20% of your daily vitamin allowance is better than a food that contains the same amount of calories but 5% of your daily vitamin requirements. The packaged foods that can be called “healthy” must contain all the vitamins and nutrients that you can also take from fresh and natural foods. When going packaged, consider buying foods that make the most of whole grains such as brown rice, brown pasta and oatmeal. When you are looking for protein packed foods, try to choose lean meats, low fat Greek style yogurts and beans. 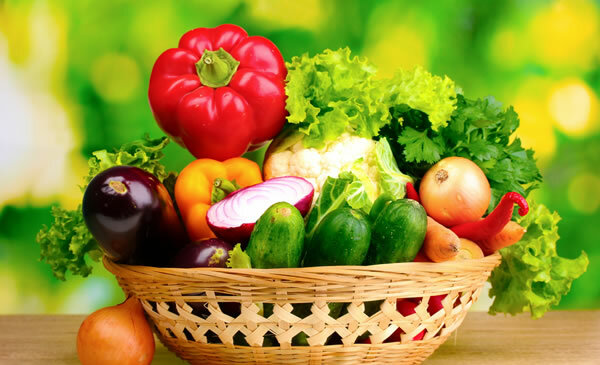 Consider also packaged foods that exploit plenty of vegetables and/or fruits. A wide range of packaged foods are high in sodium and trans fats, known to be linked with coronary (CHD) and cardiovascular diseases. 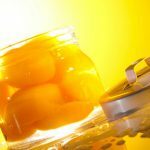 Research has shown that trans fatty acids which are predominantly created during the refining (hydrogenation) of vegetable oils have adverse health effects and must be reduced in your daily food consumption. Additionally, there have been found descent reductions in CHD rates by additional decreases in saturated fats when are replaced by poly- and mono-unsaturated fat. Regarding polyunsaturated fats, you will have to bear in mind that both omega-3 and omega 6-fatty acids are necessary for reducing the risk of CHD while the ratio of them is more misleading than useful. In practice avoid packaged foods that are high in trans fats and salt, such as potato chips, crackers and pasta sauces as well as commercial salad dressings and mayonnaise. To help you with choosing healthy packaged foods, I wrote down my favorites and explained why I am choosing them consistently. 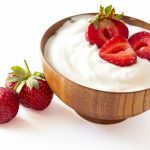 Greek style yogurt provides muscle friendly protein and probiotics that keep my digestive system healthy and my immune system at its best condition. 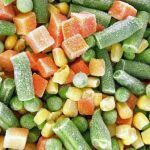 I am choosing frozen vegetables since they contain the same nutrients as the fresh ones. This is because the putrefaction process stops until the can/bag is opened again. This means that even sometimes, the packaged frozen vegetables can contain higher levels of nutrients than fresh vegetables bought from a grocery shop. Frozen fruits are like frozen veggies. 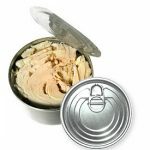 Sometimes choosing the frozen can provide you with more nutrients than you thought. If you need something quick for breakfast go for the “just add water” oatmeal packets. 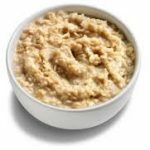 As the traditional oatmeal, oatmeal packets are high in fiber, whole grain, and are a very nutritious food, according to American Heart Association. However, take care of sodium and sugar if you are buying flavoring oatmeal. Try to stick to less than 250mg sodium and 12g sugar per serving. 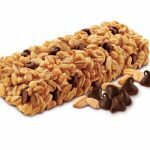 Although there are many healthy cereal bars available, you can also find brands that are no better than candy bars. If you are going to buy cereal bars, go for those that do not list partially hydrogenated oils; they contain fiber and are low in sugars. Healthy fats are essential for a balanced diet since fat is essential for hormone production and vitamin absorption. 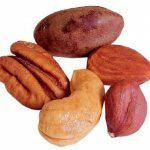 Nuts and seeds are a good source of monounsaturated fats. Just make sure to pick those packets that are unsalted and take care of your portion size. This convenient food is high in omega-3 fatty acids and protein, while it provides a fair amount of vitamins D and B-12. I enjoy tuna by scooping it with veggies onto a whole wheat pita for a healthy snack on-the-go. You read carefully the ingredients list. Marketers are so smart that can trick even a prudent consumer to think that a product is healthy while it actually is not. Although the most of your diet should include whole foods such as eggs, lean meats and fish, sometimes packaged foods happen to be more convenient. And thankfully, these foods can be added to a healthy program when you make choices wisely. Reading food labels may be time-consuming till you learn which foods to avoid, however it worth the try.